For BCS readers interested in nominating for this year’s awards, such as the Hugos or Nebulas, here’s a list of our eligible stories from 2018 and which awards category they fit in. Thank you for your interest in us and our stories! Everything published in 2018, which is BCS #242 through BCS #267, inclusive. Here are a couple of our best-reviewed pieces of 2018 and which category they fit in (short fiction categories for Hugos and Nebulas are the same). For a list of all eligible BCS stories and their categories, see the bottom of this post. BCS itself is eligible for the Best Semiprozine Hugo. For information on 2019 Hugo nominating, which is now open, go to the Hugo Awards page on the Dublin 2019 Worldcon website. For information on Nebula nominating, see SFWA’s page about Nebula voting. For other eligible short fiction, we recommend our authors’ stories in other magazines, like the ones listed in our BCS Authors Elsewhere posts. Here is the full list of all BCS stories that are eligible for Hugo and Nebula nominations in 2019, and what official category they are in. Thanks very much for considering our authors and their fiction! Thanks very much for considering us and our stories! Nominations for the 2018 World Fantasy Awards close next week, Thursday May 31. The WFAs are a juried award, but two of the five finalists in each category are chosen by open nominations. In the past three years, BCS has been a finalist for seven WFAs and won the 2013 WFA for Short Fiction. Are You Eligible to Nominate? If you were a member of World Fantasy Con last year (2017, San Antonio TX) or the year before (2016, Columbus OH) or are a member this year (2018, Baltimore MD), you are eligible to nominate. Voting closes MAY 31, 2018. The WF Nominations page of the WFC 2018 website has a link to a PDF ballot that can be submitted by paper mail or by email to rturner@arctera.com. Unlike in past years, no email ballot seems to have been emailed to attendees of recent World Fantasy conventions. Everything published in 2017, which is BCS #216 through BCS #241, inclusive. Here are a few of our best-reviewed stories of 2017 and which WFA category they fit in. For a list of all eligible BCS stories and their categories, see the bottom of this post. For more information on the WFA categories, see this old WFC page. If you’re interested in other eligible short fiction, we recommend our authors’ stories in other magazines, like the ones listed in our BCS Authors Elsewhere posts. Thanks very much for considering our stories! This is the full list of all BCS stories that are eligible for the World Fantasy Awards, and what WFA category they fit in (WFA short fiction categories are different than those for Hugos & Nebulas). Thank you for considering our stories! For BCS readers interested in nominating for this year’s awards, such as the Hugos or Nebulas, here’s a list of our eligible stories from 2017 and which awards category they fit in. Thank you for your interest in us and our stories! Here are a couple of our best-reviewed pieces of 2017 and which category they fit in (short fiction categories for Hugos and Nebulas are the same). For a list of all eligible BCS stories and their categories, see the bottom of this post. For information on 2018 Hugo nominating, which is now open, go to the Hugo Awards page on the WorldCon 76 website. For information on Nebula nominating, see SFWA’s page about Nebula voting. For other eligible short fiction, we recommend our authors’ stories in other magazines, like the ones listed in our BCS Authors Elsewhere posts. Here is the full list of all BCS stories that are eligible for Hugo Awards and Nebulas, and what official category they are in. Thanks very much for considering our authors and their fiction! Nominations for the 2017 World Fantasy Awards close on Wednesday! The WFAs are a juried award, but two of the five finalists in each category are chosen by open nominations. In the past three years, BCS has been a finalist for six WFAs and won the 2013 WFA for Short Fiction. Also, note the short deadline: May 31. If you were a member of World Fantasy Con last year (2016, Columbus OH) or the year before (2015, Saratoga Springs NY) or are a member this year (2017, San Antonio, TX), you are eligible to nominate. Voting closes MAY 31, 2017. The front page of the WFC 2017 website has a link to a PDF ballot that can be submitted by paper mail or by email to rturner@arctera.com. Everything published in 2016, which is BCS #190 through BCS #215, inclusive. Here are a few of our best-reviewed stories of 2016 and which WFA category they fit in. For a list of all eligible BCS stories and their categories, see the bottom of this post. For more information on the WFA categories, see this WFC page. If you’re interested in other eligible short fiction, we recommend our authors’ stories in other magazines, like the ones listed in our BCS Authors Elsewhere posts. This is the full list of all BCS stories that are eligible for the World Fantasy Awards, and what WFA category they fit in. Thank you for considering our stories. Locus magazine, the top review source in the F/SF/H field, is holding their annual reader poll and survey. The poll includes all the BCS stories and novelettes that made Locus‘s 2016 Recommended Reading List, including ones by Aliette de Bodard, K.J. Parker, Yoon Ha Lee, plus many more by BCS authors and others. You can write-in your own favorites too, when they’re not listed. The poll also includes novels, with categories for F, SF, and H, and anthologies, non-fiction, art book and artist, best editor, and best magazine. The top five vote-getters in each category are lauded as finalists, and the winner receives a Locus Award. Anyone can vote; you do not have to be a Locus subscriber, although if you are, they count your vote double. There are also a bunch of data collection survey questions that you can answer or ignore as you prefer. The poll closes Apr. 15, so if you’d like to make your voice heard, on their choices or your own write-ins, fill out the poll today. For BCS readers interested in nominating for this year’s Hugo Awards, here are details on how you can become eligible to nominate, how to nominate, and what BCS stories are eligible. To be eligible to make nominations, you must be either have purchased a full membership or the less expensive non-attending membership to the 2017 Worldcon, Worldcon 75, in Helsinki, Finland or the 2018 Worldcon in San José as of January 31, 2017, or have been a member of last year’s Worldcon, MidAmericon II in Kansas City. This year for submitting nominations online, members are being sent a voting link via email, which is customized to their membership. (Unlike past years, it is not a PIN or password system.) Update: the con has posted a PDF ballot for paper mailing. For more information, see Worldcon 75’s Hugos page and the official Hugo site. Also, this year the way nominations will be tallied is different. A summary of those changes is here. You must have your nominations in by March 17, 2017 at 11:59pm Pacific Daylight Time (2:59 am EDT, 06:59 GMT, 0:859 in Finland, on March 18). Here are a couple of our best-reviewed pieces of 2016 and which category they fit in. For a list of all eligible BCS stories and their categories, see the bottom of this post. BCS itself is eligible for Best Semiprozine. Thanks very much for considering our authors and their fiction! Here is the full list of all BCS stories that are eligible for Hugo Awards and Nebulas, and what official category they are in. For other eligible short fiction, we recommend our authors’ stories in other magazines, like the ones listed in our BCS Authors Elsewhere posts. 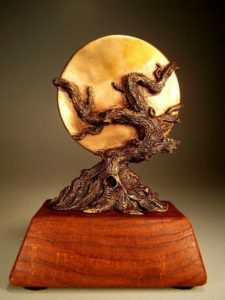 Nominations for the 2016 World Fantasy Awards are open! The WFAs are a juried award, but two of the five finalists in each category are chosen by open nominations. In the past three years, BCS has been a finalist for five WFAs and won the 2013 WFA for Short Fiction. If you were a member of World Fantasy Con last year (2015, Saratoga Springs, NY) or the year before (2014, Washington DC), or are a member this year (2016, Columbus, OH), you are eligible to nominate. Voting closes June 15, 2016. Go to World Fantasy Convention 2016 — World Fantasy Awards Ballot to find a link to a PDF ballot that can be submitted by paper mail or by email to rturner@arctera.com. Also, an email ballot was emailed directly to attendees of recent World Fantasy conventions. Those ballots can be submitted by paper mail or by email reply, to rturner@arctera.com. Everything published in 2015, which is BCS #164 through BCS #189, inclusive. Here are a few of our best-reviewed stories of 2015 and which WFA category they fit in. For a list of all eligible BCS stories and their categories, see the bottom of this post. For BCS readers interested in making nominations for this year’s Hugo Awards, here are details on how you can become eligible to nominate, how to nominate, and what BCS stories are eligible if you’d like to consider us and our stories. To become eligible to make nominations, you must be either have purchased a full membership or the less expensive non-attending membership to MidAmericon II (the 2016 Worldcon, in Kansas City) or the 2017 Worldcon in Helsinki, Finland as of January 31, 2016, or you must have been a member of last year’s Worldcon, Sasquan. You must have your nominations in by March 31 2016, 11.59 pm PDT. Here are a couple of our best-reviewed pieces of 2015 and which category they fit in (short fiction categories for Hugos and Nebulas are the same). For a list of all eligible BCS stories and their categories, see the bottom of this post. For information on Hugo nominating, see the webpage that MidAmericon II (the 2016 Worldcon) has about the Hugos. For other eligible short fiction, we recommend our authors’ stories in other magazines, like the ones listed in our BCS Authors Elsewhere posts. For BCS readers interested in nominating for this year’s awards, such as the Hugos or the Nebulas, here’s a list of our eligible stories and which awards category they fit in. 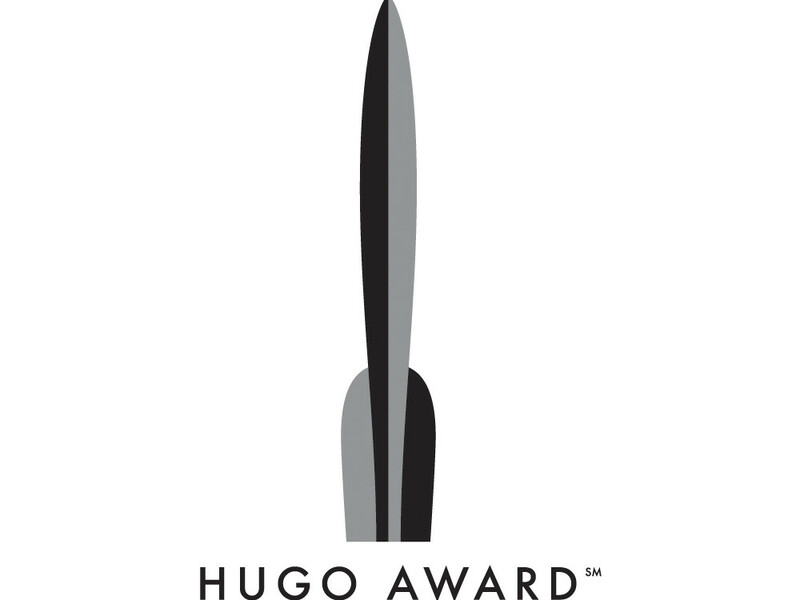 For information on Hugo nominating, see the webpage that MidAmericon II (the 2016 Worldcon) has about the Hugos. For information on Nebula nominating, see SFWA’s page about Nebula voting. For other eligible short fiction, we recommend our authors’ stories in other magazines, like the ones listed in our BCS Authors Elsewhere posts.